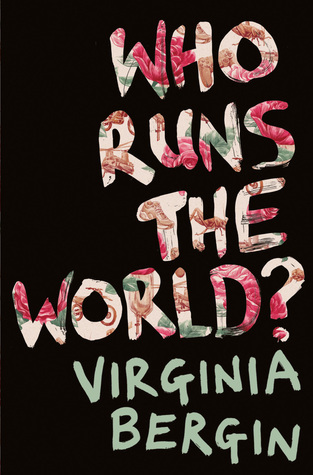 The winner of the 2017 Tiptree Award is Virginia Bergin for her novel Who Runs the World? (Macmillan, UK, 2017). The novel is scheduled to be published in the US in September 2018 under the title The XY (Sourcebooks, 2018). Who Runs the World? is a young adult novel that tells an intricately layered tale of intergenerational struggle and cooperation, the dehumanizing force of gender stereotypes, and the moral courage it takes to challenge cultural and political norms. The premise is familiar in feminist science fiction—a plague that kills nearly everyone with a Y chromosome. Bergin uses this premise first to develop a vividly imagined feminist society, and then to grapple with that society’s changes and flaws over time. You’ll find more information about each work on the Honor List — and an additional “long list” of twenty-six other works jurors found worthy of attention — on the Tiptree website. The Tiptree Award winner, along with authors and works on the Honor List will be celebrated on Memorial Day weekend at WisCon in Madison, Wisconsin. Thanks to the support of folks like you, the winner will receive $1000 in prize money, a specially commissioned piece of original artwork, and (as always) chocolate. I hope I’ll see you at the celebration! Reading for 2018 has begun Visit the recommendation page of the Tiptree Award website to suggest works for 2018 jury’s consideration. On the website, you can also donate to help fund the award and read more about past winners and works it has honored.